Coins certified 70 are the best coins on the market and are virtually irreplaceable. Coins certified PR70 are the pinnacle of the modern issue collectible coin market. “Coin grade or condition” is a term used within the coin business to indicate the condition, amount of wear or state of preservation of a coin. The grade of a coin is important because it is one of the three critical factors in determining value and future price potential. The other two factors are rarity and demand. In the United States coins are graded based on the Sheldon numerical scale created in 1949 by Dr. William Sheldon that grades coins from 1 (barely identifiable) to 70 (absolute perfection). Only a tiny fraction of the coins produced each year have the full strike and flawless surfaces required to be considered Proof 70 (PR70). It’s no surprise that coins graded in MS70 or PR70 are highly sought after among collectors. As a result, coins with the grade of 70 generally tend to appreciate in value more quickly than coins in lesser grades. For example a 1995 coin struck at WestPoint has a list price of $3,400 in PR69 while the perfect PR70 coin lists for $30,000. Many perfect 70 coins issued after 1982 can still be bought for under $200. Buying modern issue 1982-2013 coins in perfect PR70 condition soon after they are released is an inexpensive way to collect perfect coins! Four independent coin-grading firms have gained prominence in providing unbiased third party evaluation of coins for a fee. 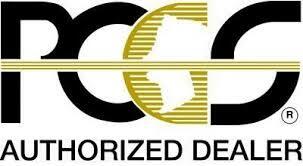 They are in alphabetical order ANACS, ICG, NGC and PCGS. These organizations are staffed with well-trained and highly skilled experts in the art and science of coin grading. When you buy an independently graded coin certified by one of these organizations you can buy with confidence.